I’m delighted to initiate the first Lahore edition for foodpanda PK Magazine. More so because today’s topic is my favorite pick; the go-to food choice for a boys’ night in. If you are currently residing in DHA Phase 4 or somewhere nearby, then places I’m about to review today will definitely tempt you. Since it is Pakistani cuisine and no Karahi or Kebab is complete without a hot selection of Naans, I’m starting today with Maro Tandoor and three picks from their menu. 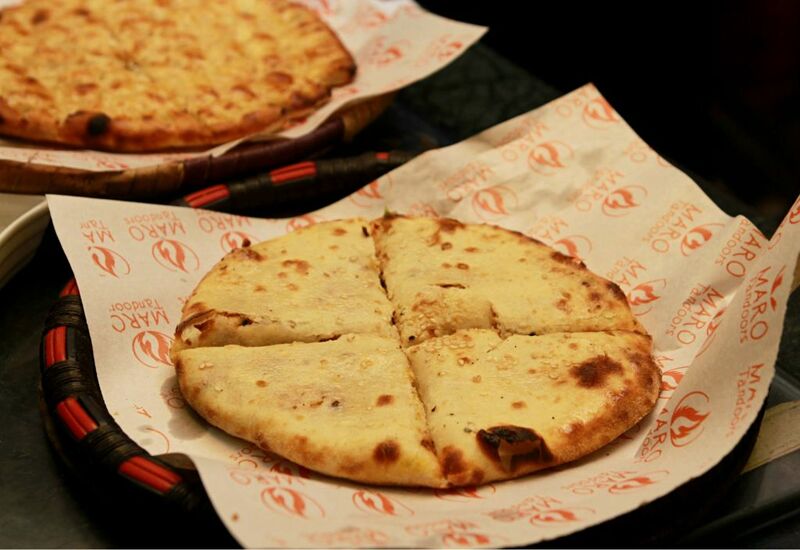 Maro tandoor is known for its innovative naans, it is considered the pioneer of new naan trend. They do make incredible Nutella Naans and Pizza Naans but I’ll stick to basic naans today. Kalonji naans are one of my all-time favorite naans because of its simple flavor. 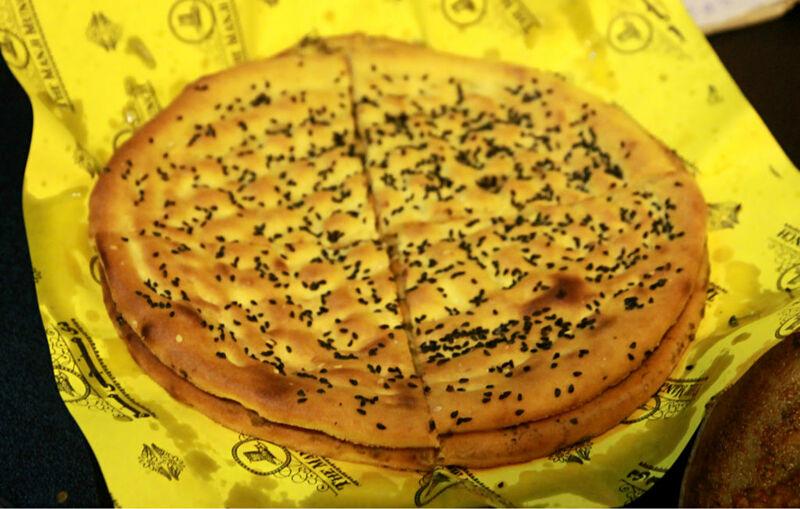 Maro Tandoor just took it to the next level by using a lot of Kalonji on naan which makes it irresistible. Typically, a naan is thick and fluffy but breaking this stereotype, Maro Tandoor has made them thin and crispy. The naan has a reddish tinge when it’s well baked which looks as if it is prepared in modern day ovens instead of a tandoor. Size is comparatively smaller so a person with average appetite will need two of these. It is cut into 8 pieces which makes it easily consumable. Goes perfectly with Karahi, Handi, Nehari or Kourma. Maro Tandoor make Roghani Naans crispy and reddish just like Kaloji Naans. The only difference is that this one has the right amount of sesame seeds sprinkled on top. Less greasy which is a pleasant surprise and yet again smaller but lighter than usual naans too. Two naans can be easily consumed at a time by someone with an average appetite. For ease of handling and eating they serve it divided into 8 equal pieces. 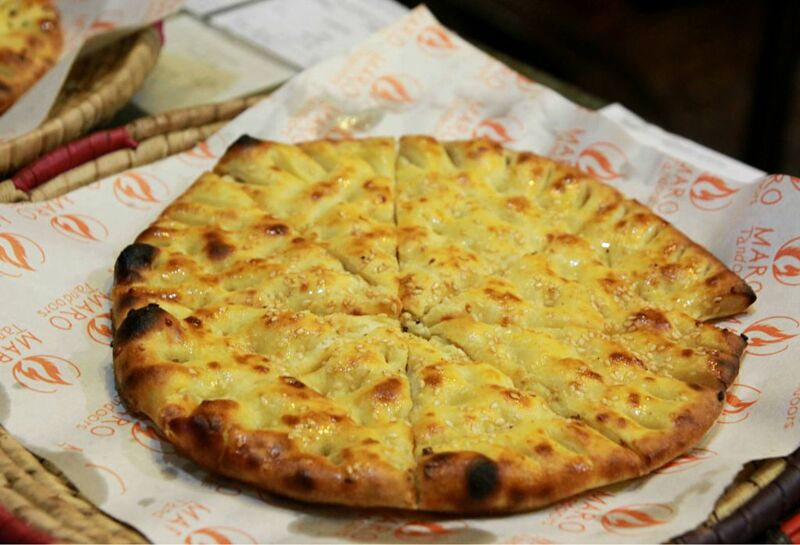 This naan is definitely a treat and a meal in itself too if you consume one and skip the curry. Chicken Achaari Naan is a stuffed naan of Achaar flavored chicken. It’s not a basic naan like Kalonji and Roghani. I had never heard of it before until trying it out through foodpanda and instantly had high expectations from it. It is generously filled with the chicken Achaar filling and the top forms a brown crust so you can never tell what’s inside. Although the filling makes it a little dry so a special dip is provided with your order. Now that we’re done with Naans, let’s prepare to dig into our main meals of the day. I’m going to begin with The Manji Munch. This is a new place and has recently gone live on foodpanda too which gave me all the more reasons to try them out. I chose Chicken Makhni Karahi because this is the type of Karahi you can never say no to. Smothered with buttery flavor, this Karahi prepared by The Manji Munch has spices including green peppers which enhances the taste really well. On top of this, chopped aromatic garlic is sprinkled as garnish which contributes to the overall flavor. It has the right amount of spice on spice meter and delivers fresh and hot which is convenient for most people who do not want to sit out at a dhaba like place. Half serving of Karahi is enough for two to three persons. 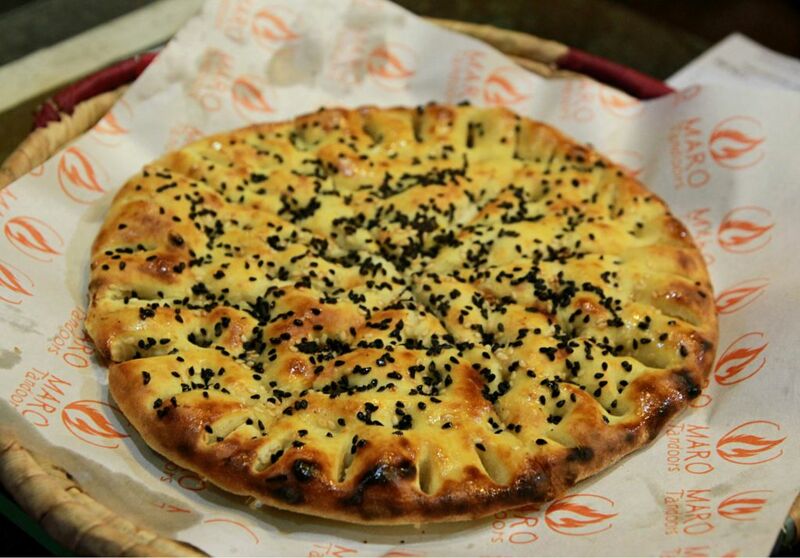 When ordering Naans, go for Kalonji Naan or Roghani Naan. Wouldn’t advise Garlic Naan with this Karahi however with Kebabs, it will do great. You can also order Plain Naan or Plain Roti. Having done with this, I did not take a minute to decide where I wanted to order from next. I’ll let you in on a secret. Karachi Hot & Spicy is one of the most favorite places of foodpanda customers in Lahore. And so, there shouldn’t be no question as to why I chose this place to try and decide for myself whether it lives up to the hype or not. Yet again, I picked the classic Chicken Karahi followed by their Chicken Biryani too. A man has got to eat, folks! 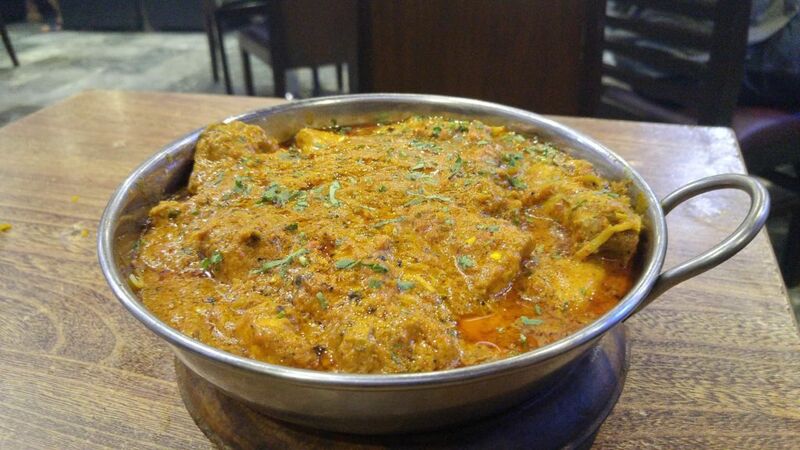 Chicken Karahi has multiple variations but if the classic one is cooked to perfection you wouldn’t find yourself thinking about other options. Yes, it is so good! The Chicken Karahi I ordered from Karachi Hot n Spicy was not much spicy. The spice level was just appropriate despite abundant use of green chilies. 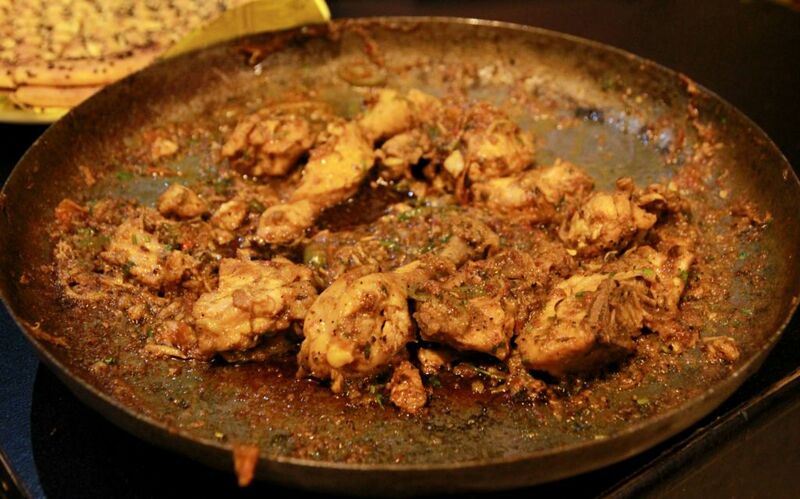 It had gravy which is uncommon in a typical Lahori chicken karahi recipe. Makes me think whether that’s the reason this restaurant is named after Karachi? I’ll let Karachiite readers share their opinions on this one. It is delicious, contains the right amount of grease and served piping hot can make you forget about your surroundings and as a matter of fact, your burnt tongue. You can invite 3-4 friends because it is sufficient. No food trip comprising of Desi cuisine is complete without the mention of Biryani. Since I had tried out all these dishes without rice, my natural inclination caused me to order a Chicken Biryani from Karachi Hot & Spicy. And boy, am I glad to have devoured it! This Chicken Biryani from Karachi Hot n Spicy is delicious. You will find delicious and flavorsome chicken in abundance which as a meat lover I highly appreciate. 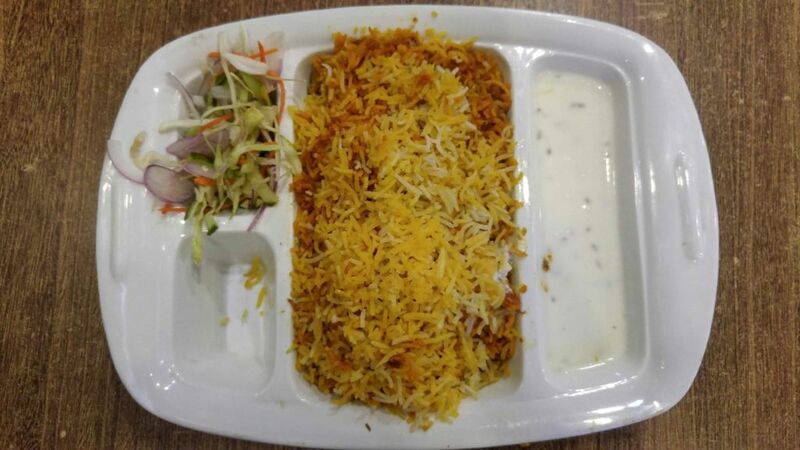 When you order, it automatically becomes a platter with side orders of Salad and Raita. It is a Lahori styled Biryani but you can request to adjust spice levels in ‘comments section’ while placing order with foodpanda. Although I did feel a striking difference in the overall meal. Rice were separately cooked hence did not carry the natural flavor of meat juice and other spices and yet mixed well with the meat. If you’re a food critic, then you’ll instantly know otherwise it is exquisite. For one person, combo meal is a good deal. However, there are several options on Karachi Hot & Spicy foodpanda menu that you would be tempted to try. That’s all! I’ll keep my next post a surprise so subscribe to foodpanda PK Magazine via email and be the first one to read it. Abdullah Sulehri is a Chartered Accountant by profession. Loves food, movies, gadgets, technology and poetry. Enjoys blogging about these topics too. Nicely written.food is looking scrumptious. I liked the way you reviewed them, I will order this makhni karahi for sure. You should’ve covered Banera roof top in DHA. Other than desi restaurants there are lots of continental restaurants in Gulber and DHA reviews on them will be more useful. Tell me how to subscribe these posts. I am in love with the photography! Tempts me to go out and try all these mouth watering dishes. 😀 Lahori hun bhai. Khanay ka shauk toh automatically hai. Loved how you mentioned prices as well. It will make it easier for me to order. Also, thanks for doing the Biryani review. Will surely order it from foodpanda now and try! Next time order karahis from Karachi Bar.B.Q & Tawa Tandoor. You’ll forget the rest.